From rackets that track to pimped-up sneakers, this year’s Wimbledon is aceing innovation. As tennis has got smarter, so too have the rackets. The latest designs have inbuilt trackers that follow every stroke. They’re made with light but strong graphene, which help players make faster, stronger strokes. Rafael Nadal uses Babolat, which made tennis history by launching the world’s first connected racket in 2013. 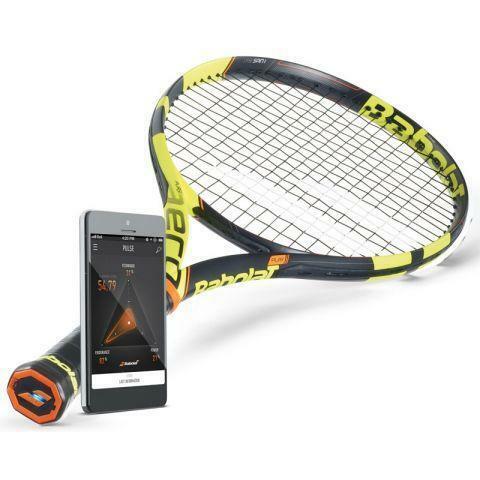 The Babolat PLAY is a connected racket with a sensor embedded in the handle. This syncs with a matching app via Bluetooth, recording every minute detail of performance. It also has the Babolat POP, a connected tennis wristband that links with phones. Sony has similar gadgets that can be attached to the base of a racket’s strings or slot on to the end of the handle. These stream data to players’ smartphones so they can analyse their game. It’s like a coach who never drops the ball. A players’ shoes are a foundation for their performance. Britain’s Johanna Konta wears Asics. 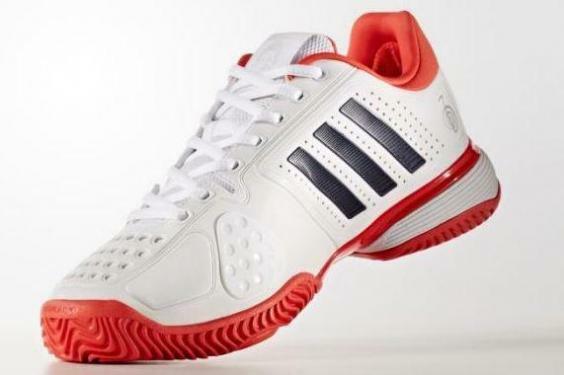 Her Gel Revolution trainers feature a clever cushioning system designed to reduce harsh court shock. Andy Murray favours the Adidas Barricade, the grass version of which is engineered to support the middle of the foot and heel. The chassis of the shoe was designed to integrate the forefoot and rearfoot movements. Nadal and Roger Federer both wear Nike. Federer opts for the Nike Zoom Vapor 9.5 tour, a lightweight, speed-orientated choice designed with input from the player himself. Nadal uses the super-lightweight Lunar Ballistec range, designed for durability and balance. Viewers were at the centre of planning this year’s Wimbledon, both for those in SW19 and those watching at home. There’s an app designed for commuters or visitors to the grounds, while wimbledon.com can be used on your desktop at work so you can never be without the tennis. Supporters at home can tune in to coverage using the HearO speaker, a Bluetooth speaker housed inside a tennis ball. Within the grounds, it’s more subtle. The aim is to enhance spectators’ experience but to “very much keep the innovations hidden,” explains Alex Willis, head of communications at the All England Lawn Tennis and Croquet Club. Three public wi-fi hotspots — new for 2017 — let visitors tune in to the app on their smartphones. Launch the IBM Slamtracker on the app or Wimbledon.com to check out players’ tactics and stats. The application can then be used to follow their progress. Filters let you receive information solely on the men’s singles, for example, or on players from a particular country.